All members are invited for apllying as headquarter for ISTEC General Assembly 2017. Forward your petition to presidente@istec.org. Read the guide for apllying in Spanish and English. Petitions will be accepted until Friday 28 April 2017. ICCDCS 2017, the 10th edition of the International Caribbean Conference on Devices, Circuits and Systems is dedicated to the memory of Eugeni García, Ph.D., a great contributor to humanity in the field of electronics. 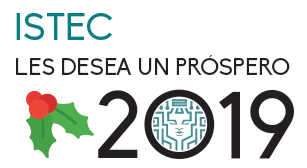 The Electrical and Computer Engineering Department Heads Association (ECEDHA), based in the United States of America, is inviting ISTEC’s members to participate in a Special Session for Latin America during its Annual Conference and Exposition, which will be held in Miramar Beach, Florida, from the 17 through the 21st of March, 2017. This invitation is specially directed to Department Heads and Engineering Deans, but all who are interested can participate. The paper “28 Years of Walking the Global Streets and a Challenge: ISTEC 1990-2018” takes a tour through the history of the Ibero-American Science and Technology Education Consortium ISTEC) through its experience as an international organization. The article presents the consortium’s challenges to improve international collaboration in science and technology and projects among universities, industry, government agencies and multilateral organizations.